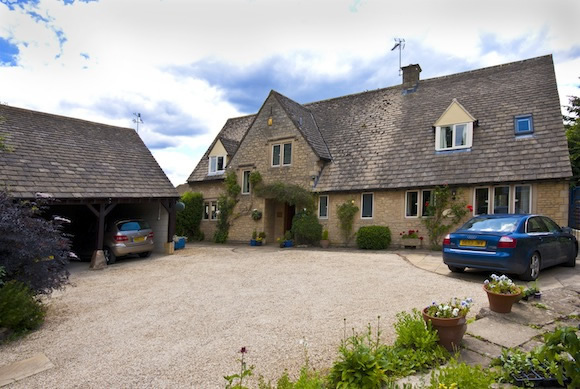 Tony and Jenny Boyse offer you a warm welcome and refreshments to revive you on arrival at Little Gidding B&B in this quiet corner of the North Cotswolds near Chipping Campden. Little Gidding is a stone house set well off the road in the centre of the village of Ebrington which is a designated conservation area situated in the Cotswold Area of Outstanding National Beauty. We have two very spacious first floor en-suite rooms. One king size room with it’s own exclusive separate guest entrance and one super-king size room. Rooms are well appointed with Flat Screen HD TV,Ipod Docking Station and Alarm Clock, CD/DVD Player ,Wireless Internet Access, Hairdryer, Fan Heater, Cooler, Bathrobes, Tea and Coffee making facilities and some special treats. Guests have access to their own lounge to relax in and which contains extensive local information and maps. Little Gidding B&B also has a large private garden, which guests are welcome to explore or relax in at any time and in which breakfast can be served if the weather allows. Help yourself to a complimentary glass of sherry or home made fruit wine. A choice of breakfasts is available from full English to Continental, all served with a wide choice of fruits and cereals and teas and coffee.Make your choice in the morning. Special diets can be catered for by arrangement. All the food is sourced locally within a thirty mile radius of Chipping Campden wherever possible, with some vegetables and fruit from our own garden in season. There is ample off-road private parking at the front of the house for guest’s vehicles. Little Gidding B&B is a No Smoking premise and we regret that we are unable to accommodate pets. Ebrington is a lovely small North Cotswold village near Chipping Campden that is relatively unspoilt with a number of original traditional thatched cottages, a superb Norman Church and a lovely village pub, The Ebrington Arms, that provides good food and good beer (it has won the CAMRA North Cotswold Pub of the Year award three times and has been runner-up four times) in a great atmosphere and which is only two minutes walk away. We are situated within easy distance of all the Cotswold beauty spots, yet far enough away to give you a quiet and relaxing stay in lovely surroundings. The picturesque and historic Cotswold town of Chipping Campden is only two miles away and the well-known village of Broadway is only eight miles distant. 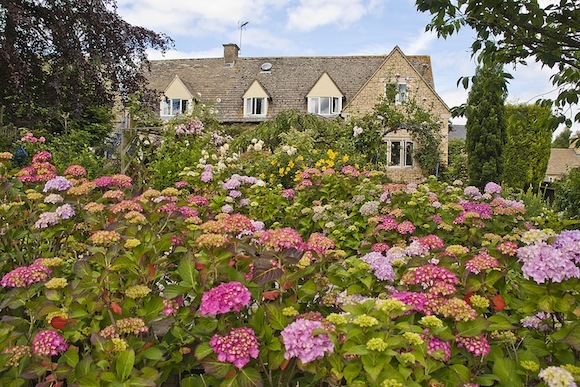 We are ideally situated for touring the Cotswolds, Shakespeare Country, Warwick, Cheltenham, The Vale of Evesham and Oxfordshire and the world famous gardens of Hidcote Manor and Kiftsgate Court are both only two miles away. Your hosts have extensive local knowledge of all of these areas and are happy to prepare you an itinerary to match your specific interests which could include some surprise locations only known to those who live locally. For a gallery of photos of our B&B, please click here. We also run the Cotswold Chatterblog to give you a flavour of local Cotswold life and events along with the latest local news including articles from the Chipping Campden Bulletin. Click here to visit. Link exchanges with Cotswold businesses are welcome. Simply contact us if you are interested in being listed here.